Water Sports Industry Association is organized to promote, develop, and maintain the advancement of the interest of water sport’s businesses. 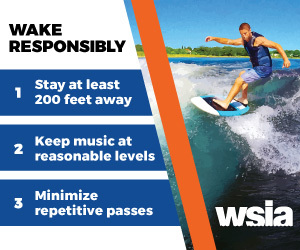 WSIA is not intended to, and may not play any role in the competitive decisions of its members or their employees, or in any way restrict the competition in any aspect of the water sports industry. The Board of Directors through this statement of policy makes clear its unequivocal support for the policy of competition served by the antitrust laws. It is the individual responsibility of every member of WSIA to be guided by the antitrust laws. It shall be the special responsibility of any committee chairman and association officer to assure that this policy is known and adhered to in the course of activities pursued under their leadership. It is not WSIA’s role to act as an arbiter or judge of competitive conduct of industry members. As such, this statement of antitrust policy is not a mechanism which members should charge another member with alleged illegal action.